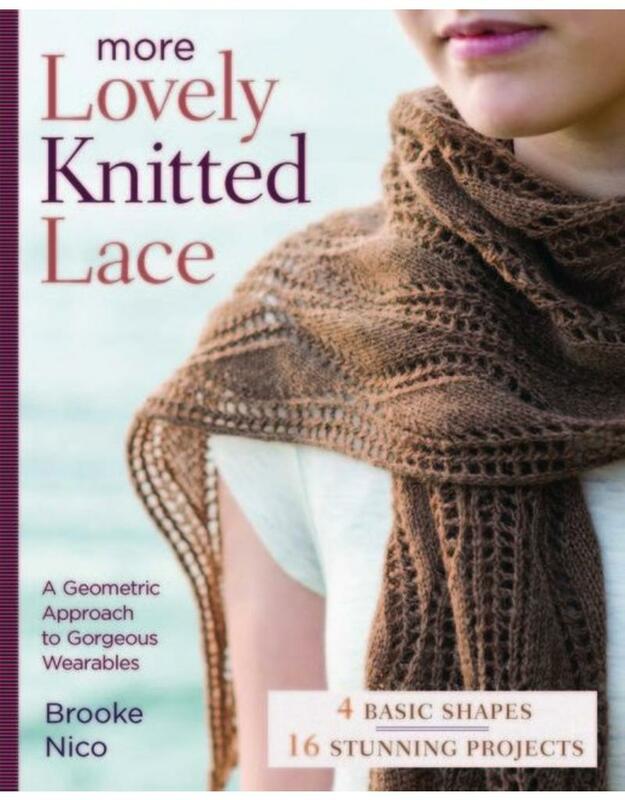 SP More Lovely Knitted Lace - Crochet Stores Inc.
Brooke Nico, author of Lovely Knitted Lace and a nationally known lace teacher and designer, presents 16 new projects that offer a fresh and original take on lace knitting. Think sweaters, capelets, tunics and cowls, knit in yarns both thick and thin—contemporary designs that give knitters a wealth of new possibilities. 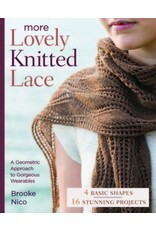 Organized by overall shape—circle, square, triangle, and rectangle—these lovely garments will change the way you look at lace knitting.